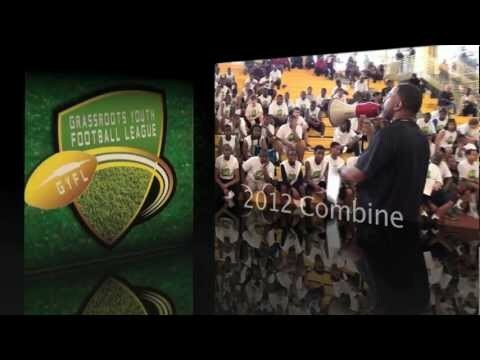 Why Play GYFL Spring Football? Grassroots Alums Getting It Done!!! Event is for 6th, 7th, and 8th Graders. This is the first official tryout for Team Maryland, the home of the 2012 7th Grade National Champions, and Team Metro Maryland, the 2nd Regional Franchise that we have been awarded for the 2016 Season. Coaches and Scouts from Team Northern VA will also be on hand, so in essence we have 3 teams from the DMV that will compete in this prestigious tournament. This means there are more than enough opportunities for kids with the talent to play in this tournament. During Tournament time, we will all compete against one another, but prior to that we will compete with one another to find the best of the best and place them on the teams that are the best fit for them. 5th Graders are allowed to try out for the 6th grade team. Cost at event check in is only $10.00. To learn about how Team Maryland has fared since the Tournament inception, visit the FBU/US Army tab on the GYFL Home page. Scroll down the right side of the website to see highlight videos of the Tournament. Click Here for the 2013 Sizzle Highlight real!!!!! Game Footage for the 2013 6th Grade Final 4 Game against Georgia can be found HERE!!! Game Footage for the 2013 years 8th Grade Final 4 Game against Georgia can be found HERE!!! (Fast Forward to the 30 minute mark for the singing of the National Anthem and one of the best youth football games you will EVER see). In order to gain respect nationally and turn the DMV into a Nationally respected Football HOTBED, we must take State All Star Teams and play against State All Star Teams from North Carolina, from Georgia, form Florida, from Louisiana, from Texas, etc. We must have a platform to compete against those teams and WE MUST WIN! The platform must be a respected platform and when we participate in that platform, play against those state All Star Teams with the best that the DMV has to offer, we will begin to CHANGE EVERYTHING!!! We have already started the process. As we change perception the colleges will Notice and MORE scholarship offers will come to the DMV when we become that Nationally respected Football Hotbed. Football University is the ONLY National Platform that provides an opportunity for us to change our perception. They own the US Army All American Game which has the top 4 and 5 Star HS athletes each year that have committed to the top Colleges. College Programs follow the US Army Game and they Follow FBU because both properties are owned by the same parent company, All American Games (AAG). AAG created FBU to find the next group of elite middle school athletes that will one day have a chance to play in the US Army Game. The connection between FBU and Major Colleges is purely undeniable. FBU is critical to our overall objective, which is to maximize our athletes chances to compete for a college scholarship. If you are not interested in playing college football, this is probably NOT the tournament for you and there are other opportunities that we can refer you to. FBU's 64 State Team National Championship Tournament at the 6th, 7th, and 8th Grade division is like the Little League World Series of youth football. NOTHING CAN COMPARE to it. Our 7th Graders followed my lead and obliterated Central Virginia, Eastern Carolina, Chicago, Massachusetts, South Florida, and NE Louisiana on the way to the 7th Grade National Championship in 2012. It was not about winning a ring. It was about revolutionizing a State guys and earning National Respect, which in turn will increase scholarship offers for this region. This year we have two teams, Team Maryland and Team Metro Maryland. We are not only looking for players, but we are looking for coaches for both teams. we also work hand and hand with, and support Team Northern VA. If any of the 3 of us win, the DMV wins. That is how serious this is for us at Grassroots. If we are going to be successful in changing the entire paradigm and perception about our region as a football power, which will in turn, manifest itself with more scholarship offers to our region, your child will have a better chance at earning one when he graduates. You need for this to happen and we are the ones to make it happen. For the last 4 years we put formidable teams together at all 3 age groups. When we begin to dominate the FBU Tournament at every level and win Championships in front of 200,000 viewers on the internet, along with the powerful marketing and promotion campaign of FBU, college coaches will look at us differently all over the country. High School football coaches from all over will understand that the youth football leagues in the DMV are putting out monsters that are a force to be reckoned with. The game will continue to change!!! As more an more of them matriculate to college and dominate, you will see our average number of scholarship offers increase each and every year. This is the mission that we are on at Grassroots and we are succeeding. Check out the Grassroots Track Record if you need more proof. Click Here to see the details. No single event or showcase is more important to the machine than the FBU National Championship Tournament. The 2nd Team Metro Maryland allows us to service twice the number of 6th, 7th , and 8th Graders and offer them an unreal experience. Supporting Team Nova, gives us 3 times the roster spots. If you think you are ready for this level of football, click on the link below and we will see you on Sunday June 5th. Spread the word!!!!!! WALK UP Registration is Now available ONLY!!! How Bad Do You WANT IT?? ?